This article was originally published on March 13, 2016 in Seacoast Sunday, the combined Sunday edition of The Portsmouth Herald and Fosters Daily Democrat. 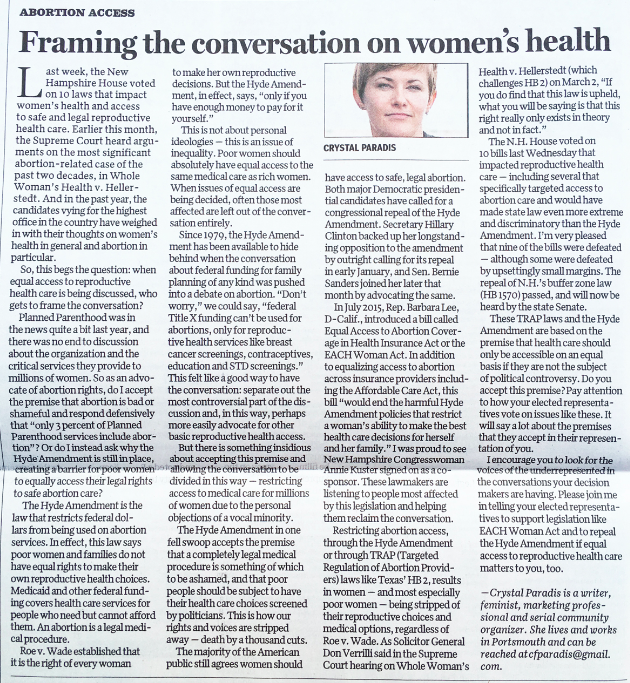 You can read the online version of the op-ed here at SeacoastOnline.com. You can also read a version of this article on Medium.com, with the addition of supporting links I found helpful in my research for this piece.